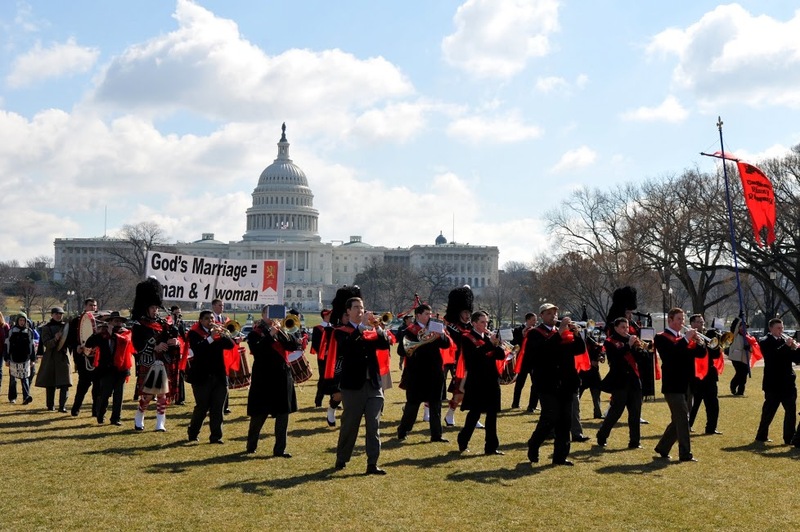 On March 26th 2013, thousands of Americans and foreigners gathered in the historical city of Washington D.C. to defend the Church’s definition of marriage. 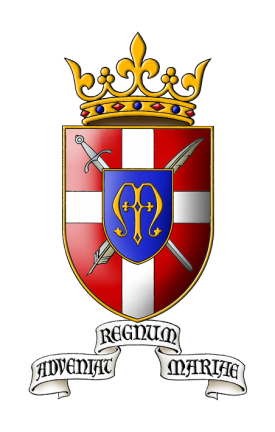 The Saint Louis de Montfort Academy, under the direction of the American TFP, prepared and tuned our instruments for the upcoming battle. Banners, signs and TFP standards were numerous throughout the large crowd, and everyone seemed anxious to show their support for true marriage. Joining the thousands of participants in the march, the band played patriotic and religious hymns. Upon arriving at the Supreme Court, the march was met by a large and vulgar crowd of homosexual and lesbian rights activists who tried in every way to disrupt the march. Thanks to the abundant graces from Our Lady, the march continued and there were no violent confrontations between the opposing sides. After returning to the place where the march had begun, the large crowd listened to speakers such as Brian Brown, Dr. Jennifer Morse and other such speakers.